WHAT NOOKIE SIZE AM I? Our gorgeous model is 5'9" and is wearing size S.
All orders placed before 3pm AEST Monday-Friday (excluding Public Holidays) will be dispatched that day. NOOKIE PROVIDES FREE EXPRESS SHIPPING ON ORDERS OVER $250AUD, AUSTRALIA WIDE. International orders can opt for express (2-5 business days) or standard shipping (5-10 Business days) depending on your country. Leave your details here and we'll contact you when we've restocked. Measure your natural waistline, below navel. *Measuring tape should be snug, not over a belt. NOOKIE delivers EXPRESS POST AUSTRALIA WIDE and offers EXPRESS & STANDARD shipping INTERNATIONALLY. Orders placed prior to 3pm AEST Monday-Friday (excluding public holidays) will be dispatched that day. Orders placed on weekends or Public Holidays will be processed and dispatched on the next business day. PLEASE NOTE: If you require a split shipment due to a re-stock/pre-order it will incur a second delivery fee, you will be notified of this if necessary. NOOKIE PROVIDES FREE EXPRESS SHIPPING ON ORDERS OVER $250AUD, AUSTRALIA WIDE! 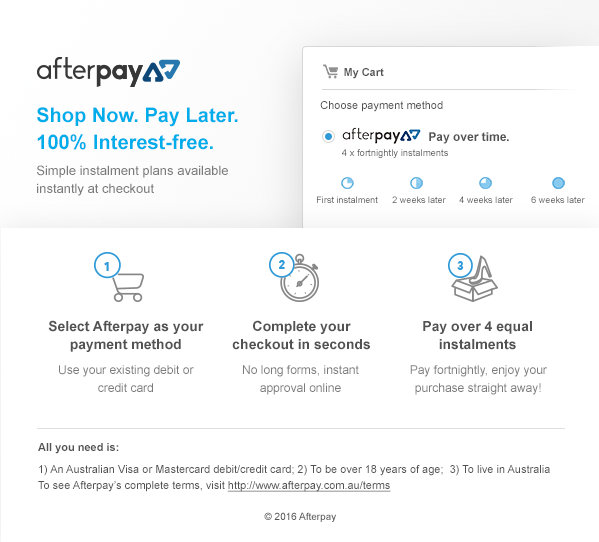 ORDERS UNDER $250 WILL INCUR A RATE OF $7.95AUD FOR EXPRESS SHIPPING. We know how fast you want your Nookie!! We use Australia Post Express for all our local deliveries. All orders will be provided with a tracking number once order is despatched for your reference. A signature is required upon delivery so please ensure you provide an address where someone is there to sign. If you would like to authorise for your order to be left at your door or in your mailbox please specify in the delivery instructions. PLEASE NOTE: If you elect for your parcel to be left at your premises we cannot be responsible if the parcel goes missing. Deliveries within Australian major cities can arrive within 1-3 business days from the date of dispatch. Some rural areas can take up to 5 business days. Please contact enquiries@nookie.com.au if there is a longer than expected wait for delivery. During peak times, there may be a delay in delivery. NOOKIE PROVIDES DHL EXPRESS PLATINUM OR STANARD INTERNATIONAL AUSTRALIA POST. Depending on the country, international orders that are sent with DHL PREMIUM SERVICE should take an estimated 2-5 business days for delivery to metropolitan areas of major cities. You will be emailed a Tracking Number once your order has been shipped. For international orders using INTERNATIONAL AUSTRALIA POST standard shipping can take up to 5-15 Business days from dispatch. You will be emailed a Tracking Number once your order has been shipped. *This method of shipping does not require a signature on delivery and Nookie will not be held responsible if your parcel gets left at your premises. Please be aware that International orders may incur a customs or an import duty fee. You are responsible for payment of these fees. They differ depending on the country you are ordering from. Please contact your local custom offices for further information. If your order is urgent or you have any other queries please contact enquiries@nookie.com.au. Join Us! Be a Nookie Girl! Sign up and receive a $10 voucher to spend. Please check your email for your $10 discount. In order to provide our clients with the service they deserve NOOKIE collects the information that our clients give us. This may include personal information: given to us by you when you fill in questionnaires, contact forms or other sections of the NOOKIE website or when you post or input information to the NOOKIE website; and about how you use the NOOKIE website. We study our clients' and visitors' use of our website so we can improve our services and enhance your NOOKIE experience. When you register with NOOKIE, you give us your name and email address. NOOKIE does not collect personally identifiable information from anyone under the age of thirteen. If you are under thirteen, please ask your parents to register or exit this website. Will NOOKIE share your information with other entities? NOOKIE does not sell or rent our client's names, addresses, email addresses or other personal information. In order to maintain our website and enhance our client communications, NOOKIE contracts with selected third parties. As necessary, your personal information may be shared with these third parties, solely for the purpose of assisting NOOKIE in these endeavours and subject to strict contractual confidentiality obligations. NOOKIE will not otherwise use or disclose any information about you without your consent, unless: the use or disclosure is for one of the purposes described in or otherwise permitted by this policy; the use or disclosure is required or permitted by law; we believe it necessary to provide you with a service which you have requested; we believe it necessary to protect the rights, property or personal safety of another person or NOOKIE; or the assets or operations of NOOKIE'S business are transferred to third party. If you do not provide requested information, NOOKIE may not be able to provide you with access. NOOKIE will take reasonable steps to protect the personal information it holds from misuse and loss and from unauthorized access, modification or disclosure and to make sure that the personal information it collects, uses or discloses is accurate, complete and up-to-date. NOOKIE uses appropriate security measures to protect the information you give us. While we take stringent measures to protect our website and all information, you should be aware that no internet data transmission can be guaranteed to be 100% secure from access by unintended recipients. NOOKIE will not be responsible for events arising from unauthorized access to your personal information. You will be required to register to use some of the features on this Site. We may change registration requirements from time to time and without notice. When you register, you are required to provide information about yourself that is true, accurate, current and complete in all respects. Should any of your this information change, please notify us immediately at the following e-mail address enquiries@nookie.com.au. You must comply with all proprietary and copyright notices on this Site. This Website is owned by NOOKIE and its associates, and subject to copyright. You use this Site at your sole risk. You agree that you will be personally responsible for your use of this Site and for all of your communication and activity on this Site. We reserve the right to deny you access to this Site, or any part of this Site, at any time without notice. If we determine, in our sole discretion, that you engaged in prohibited activities, were not respectful of other users, or otherwise violated the TOS, we may deny you access to this Site on a temporary or permanent basis and any decision to do so is final. NOOKIE holds no liability or warranties for any other website that you may have access through this Site. NOOKIE has no control over content that may be publish on Other Websites that are linked to nookie.com.au and the accuracy of information published on the Other Website. Third Parties may post statements on the NOOKIE site, these will not be monitored and NOOKIE is not responsible for the material or accuracy of information posted by these Third Parties. NOOKIE is not liable to you or any other person for any direct, indirect, special or other consequential damages arising out of any use of this Site, the use of any other linked website, the use of any Other Website or any Third Party Posted Material.